Rearrange My Furniture: Love Bandits! Chinese spandex superheroes from the future? Sounds about right. 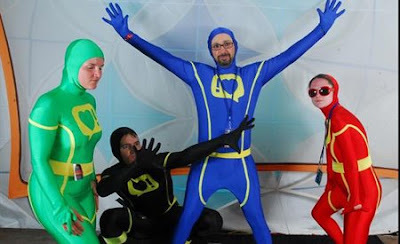 These supple crimefighters were sent back to fight for your right to giggle. Check the below post for the first LB video, we'll be posting tons of images and videos of these guys, they seem to be everywhere! I love the love bandits and their hard work.